I received a Silpat in exchange for my honest review. 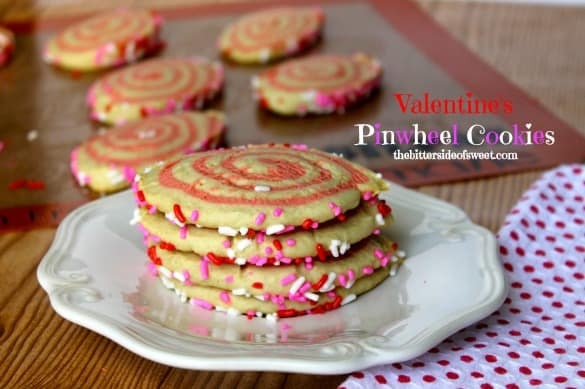 These Valentine’s Pinwheel Cookies are sure to brighten anyone’s day! A few weeks ago I asked on Facebook what was the preferred method in lining your cooking sheets. Was it parchment paper, foil, or Silpat? Well a few of my readers had not heard of Silpat, had not used them or they loved them. I announced that I had actually not used one before but was curious on how they worked. A day or two later I was contacted by Silpat asking if I would like to try their product out and review it. I said ABSOLUTELY! I had actually heard nothing but good things about it. Let me tell you, Silpat will not disappoint. I can now officially say I love my Silpat. It is reusable so I don’t feel bad about throwing out paper or foil. Which I did a lot of because I bake so often. You know what? You don’t have to just use it for cookies and such. I tested it out making waffle fries as well. They came out crispy and delicious! Exactly how we like to eat them! 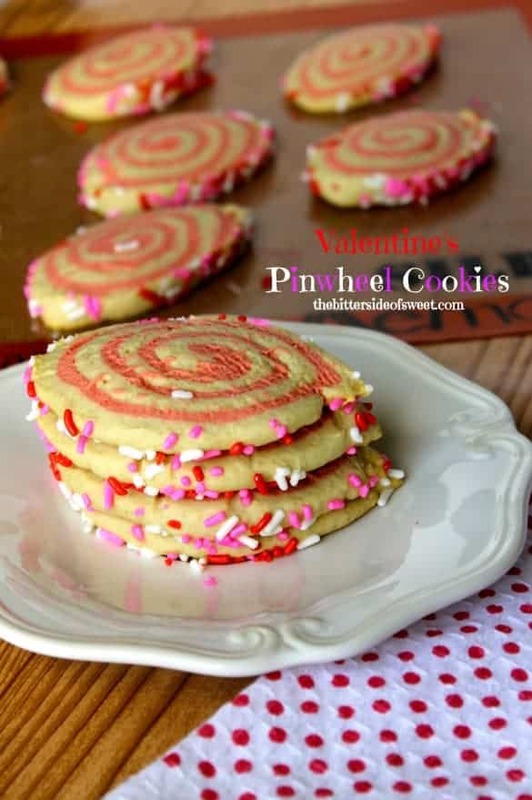 So about these Valentine’s Pinwheel Cookies. My son came home after his Christmas vacation and asked if I could make him some cookies so he could give them to his bus driver. At first I was a little thrown by the request but so pleased that he was thinking of someone else. So I asked him what kind of cookie she liked and he told me sugar cookies but she did not like the sugar cookies that were too sugary. So I set out on trying to find a good recipe. Sure enough I found one that was not too sweet and perfect for cutting and rolling and decorating. ENJOY!! basic sugar cookie recipe that can be shaped, colored, cut and decorated for any occasion. 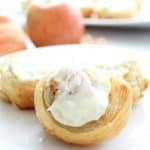 Cream 1/2 cup sugar and 1/2 cup butter together in mixing bowl. Mix 2 eggs and 1/4 teaspoon vanilla together and add to mixing bowl. Mix. In a separate bowl add 2 cups flour, 1/2 teaspoon salt and 1 teaspoon baking soda together. Add to mixing bowl and mix well. Roll dough into ball, cover with plastic wrap and refrigerate for 30 minutes. 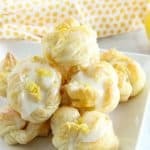 Mix 2 eggs and 1/4 teaspoon vanilla together and add to mixing bowl. Drop in 25 drops of red food coloring and continue to mix till incorporated. Sprinkle counter top with flour. Roll out white dough into a rectangle. Roll out pink dough into a rectangle and place on top of white dough. Preheat oven to 350 F. Line 2 cookie sheets with your Silpat. 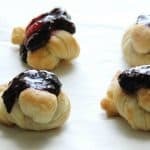 Cut roll into 24 cookies. Place on cookie sheets and bake for 9 minutes or until golden brown. 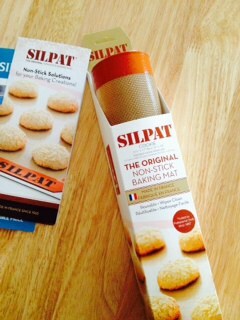 Once you go Silpat you won’t go back 😉 I also have a huge silpat and use it roll out any dough or pastry and it works like a charm!! 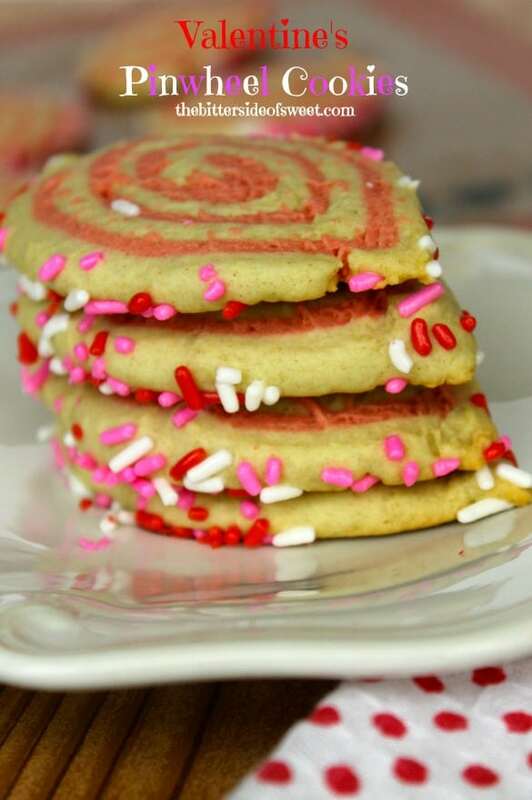 These cookies are so cute, perfect for Valentines! I’m thinking I can agree with you on that!! Thanks Elizabeth! I have yet to buy a silpat mat but I keep hearing it’s the best thing ever for making cookies and bars. I love, love my Silpat mats! Best thing ever! I think you made great use of yours, these cookies are adorable and I bet, pretty tasty too! Thanks so much Tanya! I love mine already! The cookies look great, Nancy! That’s so sweet that your son wanted to give his bus driver something. That’s so nice of him to think of her. I love my Silpat too! I bought a couple back in my macaron experimenting days, but now I use it for rolling dough, baking cookies, sheet cake, bread, donuts… I’m obsessed. I barely use parchment paper anymore and I feel so eco-friendly now haha. 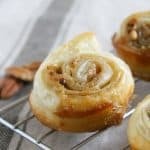 Rolling dough? I seriously need to try that! See I learn something new every day about it! Thanks so much Lisa! I get my kids a cookie tin every holiday, it can be expensive and sometimes not worth the price. 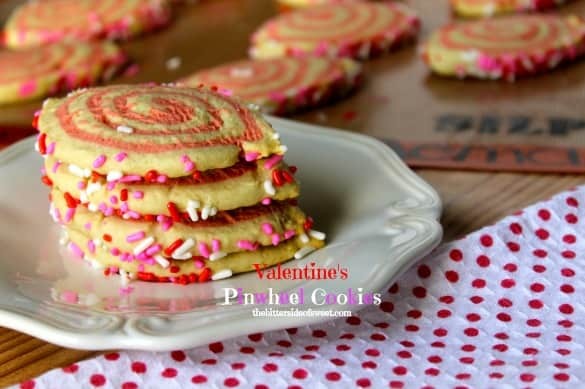 I’ve really been contemplating making my own cookies for their Valentine’s Day tins. The variety of cookie recipes on this blog will be ideal. I know for a FACT that if I could eat the ingredients in these foods (thanks allergies)… I would dive head first into a huge pile of these! 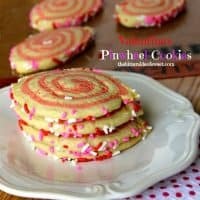 Such pretty cookies! Thanks for sharing on the What’s for Dinner Sunday Link up!